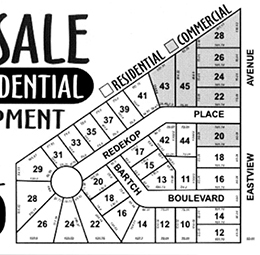 Lot Sizes: Between 2.07 and 2.8 acres. Electrical and water connections available. 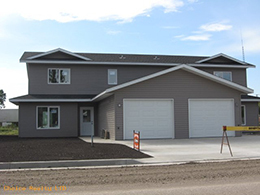 An exciting new development that began in 2010 on Plum Coulee's Main Avenue is quickly filling up, only 4 units are still available. These beautiful and spacious homes, feature 3 Bedrooms, 2 Baths, Landscaped yard and concrete driveway, close to downtown and central to schools and recreation. Another great new development at the northern point of Plum Coulee with many new lots is now selling. Get one now, while there are still plenty to choose from. 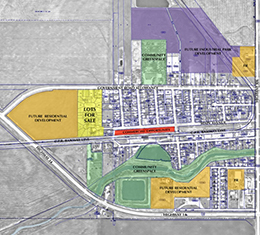 The northern part of Plum Coulee is currently being serviced with water and sewer services. Lots are available from 1 acre to 16 acres. Please call (204) 324-5357 and ask for Susan for more information.